While attending a conference at the Starkey training centre in Eden Prairie, Minnesota, we learned about the power of communication and staying active. 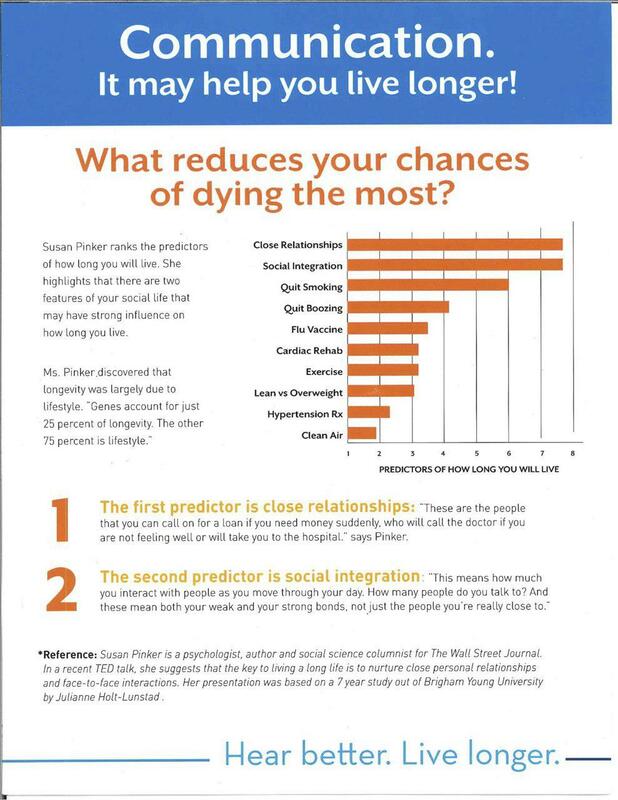 The study below explains how there are two aspects of your social life that may function are predictors for how long you will live. Interestingly enough, “genes count for [only] 25% of longevity” based on Susan Pinker’s research and the rest is up to us. Your lifestyle, including how many close relationships you have and how many people you interact with on a daily basis can greatly affect how long you are expected to live. This study truly highlights how something as seemingly simple as your ability to hear can actually affect how social you are and thus your longevity. 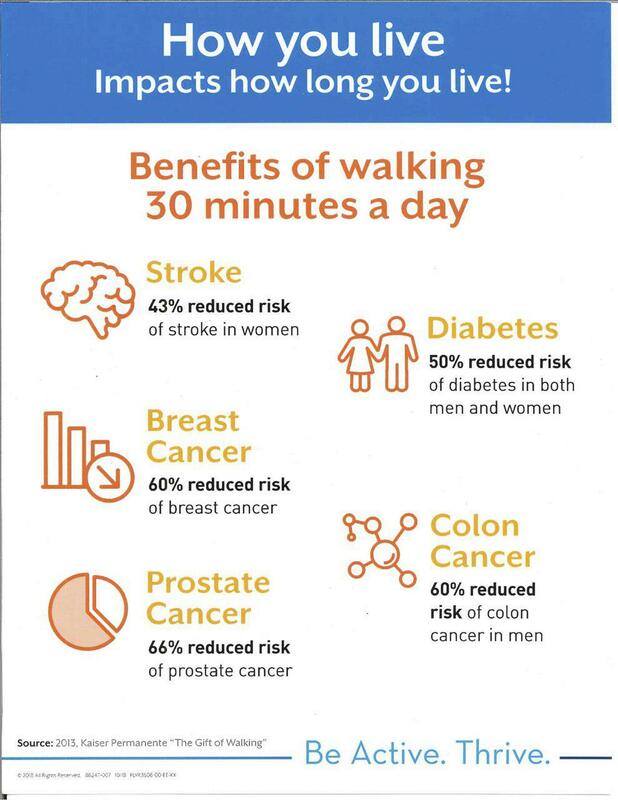 Another takeaway from the conference was a study on exercise, which indicated that walking just 30 minutes a day could have great benefits for your health, including reducing your risk of colon cancer, breast cancer, and diabetes. So remember, what you do today will affect your tomorrow, so do what you can to engage with your community and better your health. Give us a call today at Living Sounds Hearing Centre (1-800-232-7289) to learn more about your hearing health!